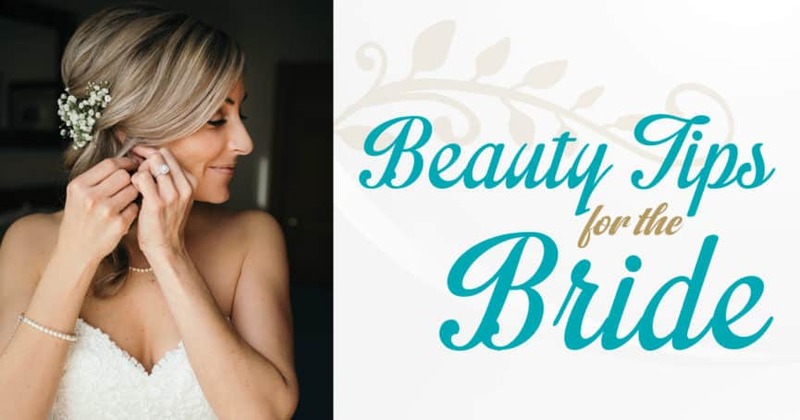 It’s your wedding day – of course you want to look your best. But that doesn’t have to mean a lot of stress if you follow a few simple dos and don’ts to ensure things go just as you’ve always dreamed as you walk down the aisle. There’s a lot to think about as the big day inches closer, but relax. We’ve got you covered when it comes to the hottest new tips and advice when it comes to ensuring that you look picture perfect from head to toe. From hairstyles and makeup to manicures and tan lines, there’s no doubt that there’s a lot to think about. But heed some of our advice below and spend more time enjoying the moments of your special day than fussing over the details! 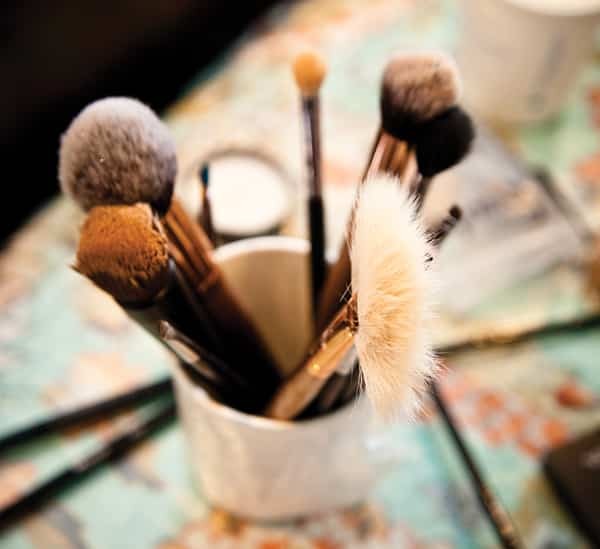 Beauty experts caution that it’s always best to take the time in the months leading up to the wedding for a few trial runs when it comes to makeovers. It makes sense to schedule a few so that you can get all your experimentation out of the way and come up with the best plan for the big day. Brides will be happy to discover that many make-up artists offer these as part of your wedding day package. But even if you are doing your own make up, you’ll want to experiment in order to find what looks and feels the best. To get an idea of how your make up will look with your dress, experts suggest wearing a white t-shirt during the trial. And of course, it’s always good to consider how your make up will look in wedding day photographs. Remember to ask your make-up artist for the right shades of lipstick and eye shadow so you can apply touch ups during the wedding day. And remember, eyebrow shaping should always be done a few days before the wedding so they won’t end up looking red and irritated on your big day. And don’t forget the common sense steps you can take the months leading up to your big day, such as treating yourself to regular facials and drinking plenty of water for fresh-looking skin. Foods high in vitamin A, B6 and C all lend to healthy skin. Think watermelon, grapefruit, and broccoli, just to name a few! Go easy on the blush. It’s your wedding day, so you will likely spend the day looking more flushed than usual. Apply sparingly. Go waterproof. That goes for everything from your foundation to your mascara. There will be at least a few tears of joy. Go oil-free. If you are having an outdoor wedding, or even if your wedding is during a warmer time of year, use oil-free products and keep blotting sheets on hand. Go gloss free – that is if you are having a wedding outside. You don’t want that sticky gloss to end up being a magnet for your hair. The choices are endless when it comes to hairstyles and finding that perfect hairstyle for your wedding day can take some time. Find one that reflects your personal style and most importantly, have fun as you narrow down your search. Once you have, it’s time for a trial run. It’s important to schedule a trial run with your stylist four to six weeks out. When you go, be sure to bring pictures of the styles you love and be open minded and willing to experiment. It’s also a great idea to bring a photo of you in your wedding dress, or at the very least a swab of fabric. And don’t forget your headpiece during your trial run. Your stylist will need it! Trim and highlight or color your hair two weeks before your wedding. Always consider the neckline of your dress when choosing a hairstyle. If you plan to wear an updo, it’s best to wash and blow dry your hair the day before your wedding day. 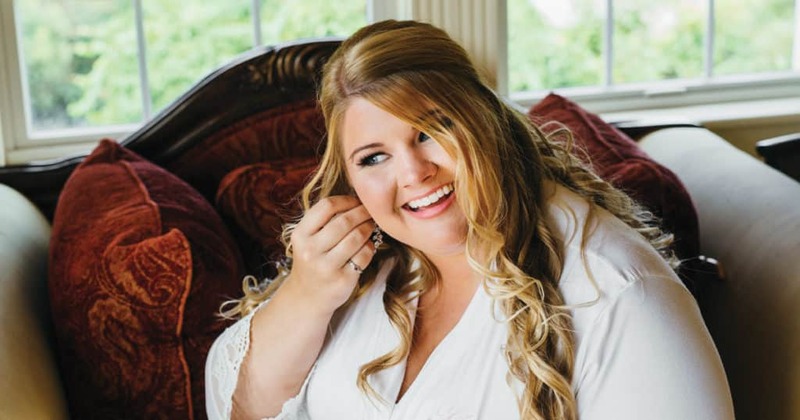 On the day-of your styling, wear a button-front shirt or a robe so you don’t have to pull it over your head when putting on your wedding dress. While nails may not seem like a priority when it comes to the all the details of preparing for your wedding, think again! Remember that all eyes are going to be on the ring that has just been placed on your finger, or the photographs of you signing your marriage certificate. The polish you choose is important and it’s worth remembering that certain shades look better on certain skin tones. So, just like your hairdo, or make up and your dress, your nails deserve attention, too. It’s important to have several trial runs when it comes to choosing the perfect nail polish. Consider avoiding bright colors, not only because they stand out a little too much during those intimate moments of your wedding day, but they also don’t turn out well in photographs. Neutral colors and simple designs when it comes to nails are sure to add beauty and elegance on your wedding day. Gel manicures and pedicures are trending these days as well because the polish doesn’t chip, even after your wedding day is over. Don’t wait until the day of to see how you like gel manicures. These should be done at least a day before your wedding, perhaps two. Don’t fret over a chipped nail on your wedding day. It’s not the end of the world, and in the end, it will be the last thing you remember from your wedding day. To get your nails in tiptop shape before your wedding day, apply cuticle oil every night to nourish your nails. 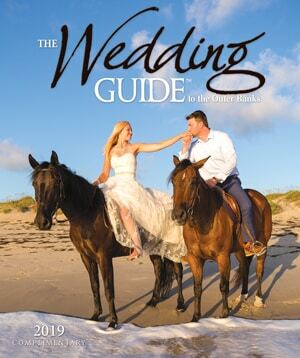 Yes, you are at the beach and you have a few days to have some fun in the sun before your wedding. You want to enjoy the sun, surf and sand like everyone else. After all, that’s why you chose the Outer Banks, right? But be wary. The sun’s rays, even when it’s not summertime, can burn, especially in our beach environment, and it’s no fun dealing with a sunburn (and strap lines) on your wedding day. If you do find yourself a little too sun kissed before your big day, don’t fret too much. There are some things you can do to soothe the burn, or at least make it less noticeable as you walk down the aisle. Use aloe. This plant-based gel acts to soothe redness and burns, creating a cooling sensation. Consult and trust your makeup artist. They can add color to white areas, blending them with the sunburned spots. Prevention is key. Wear SPF 30 and reapply often. The sun’s reflection off the water and sand make you more susceptible to sunburn while trying to relax on the beach the days before your wedding.